Thanks to a recent change in the micro-purchase threshold if you sell products, training, or off-the-shelf solutions to any civilian agency (non-DoD), your competition was just significantly reduced! Last month, as part of the National Defense Authorization Act (NDAA) for Fiscal Year 2018 for Fiscal Year 2018, the Micro-Purchase Threshold for Civilian agencies including GSA, purchases increased from $3,000 to $10,000. The Micro-Purchase Threshold is the maximum price a Government customer may spend without approval from higher authority. In other words, this is the amount a customer can spend to purchase your products WITHOUT COMPETING the requirement. We have already seen the change occurring at GSA during negotiations and included in Final Proposal Revision letters, but there will not see a change to the FAR until later — it can take months to years for the FAR council to approve changes. This is a major stepping stones towards Amazon-type purchasing methods which GSA and others are currently exploring. Keep in mind that the sales won’t flow to you unless you’re out there giving reasons for customers to buy your products. Now is the time to make sure your products are available on GSAAdvantage! and other purchasing sites. Try direct mail and email campaigns to purchase card holders and program managers to help push customers to your products. As always, face-to-face visits with local small business representatives can help you get in front of more customers. The increase in the Micro-Purchase threshold only applied to Civilian agencies; It does not apply to the DOD at this time, which will continue to operate under the current threshold of $5,000 approved last year. Now is the time to ramp up your sales to DoD. 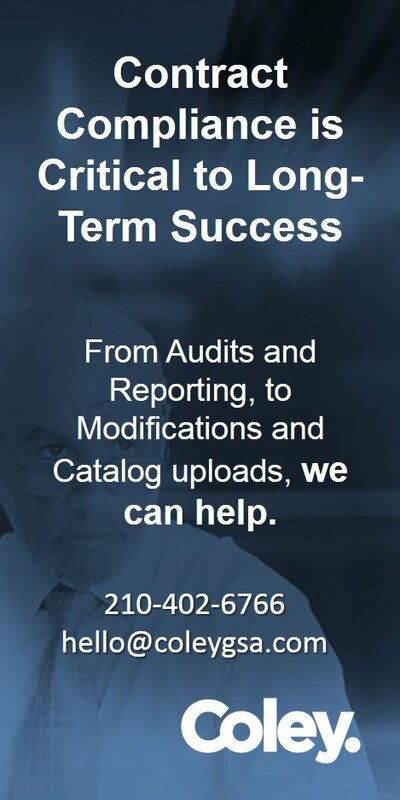 Coley has decades of experience and 90% of our clients meet or exceed GSA’s minimum sales. 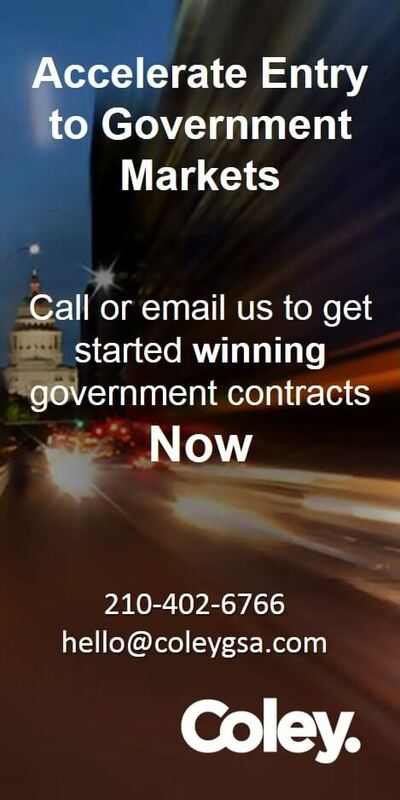 Let Coley help maximize your sales to the Government. 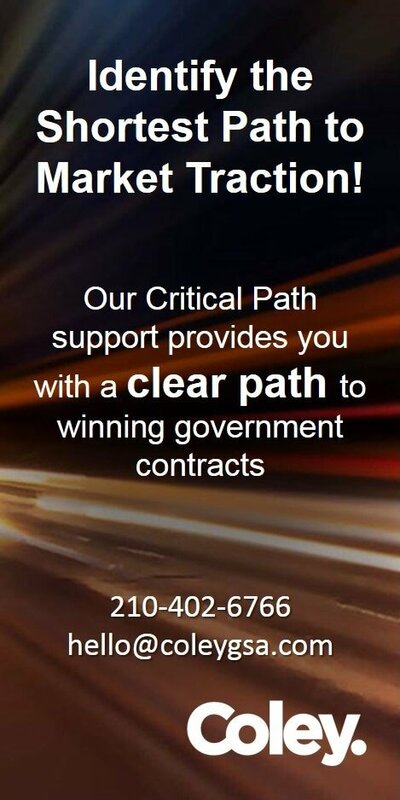 Our experienced contract advisors are always willing to show you how changes in Government policy, such as the increased Micro-Purchase Threshold can improve your business. Reach us by email at [email protected] or by phone at 210.402.6766.